The sexual harassment news story that broke last week was a stark reminder to our industry that we need to make sure our places of work are safe for everyone. Whether of a sexual, racist or violent nature – our industry needs to unite to make sure that these sort of incidents cannot exist. A new website, Hospitality Speaks, is launching next month, allowing industry employees to anonymously report employer’s inappropriate behaviour. It will be interesting to see how this forum will be used by the industry – proper moderation is key. 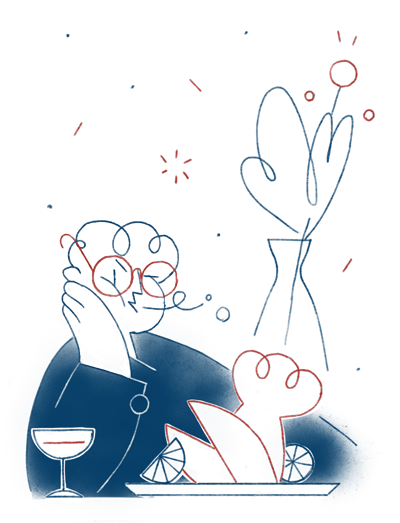 CODE would like to see a peer-led body that is governed by an independent panel of industry professionals that everyone signs up to (both employer and employee – it’s a two way road after all) making everyone accountable for their actions. 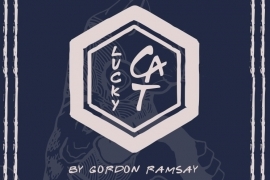 The big news of the week is that Gordon Ramsay has announced he will replace Maze in Mayfair this summer with a new restaurant entitled Lucky Cat. The new restaurant will be “an authentic Asian Eating House and vibrant late-night lounge, inspired by the drinking dens of 1930s Tokyo”, led by chef Ben Orpwood. 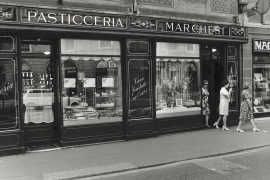 Pasticceria Marchesi in Milan is a historic site, owned by Prada and serving pastries to a well-heeled clientele. So perhaps Mount Street in Mayfair is the perfect spot for its first spin-off, due to launch in April, with a name which notes the year of the original’s opening. Visitors can expect top quality coffee, cakes, confectionery and other dishes. 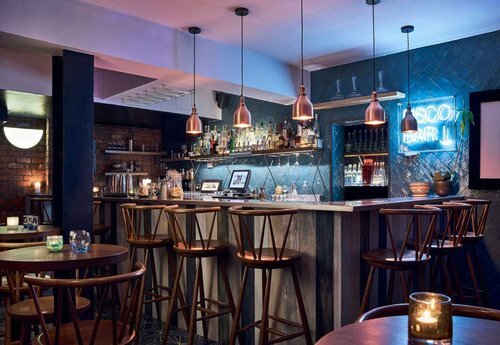 The Mandrake hotel in Fitzrovia has announced it is replacing Serge et le Phoque with a new restaurant, titled Yopo. 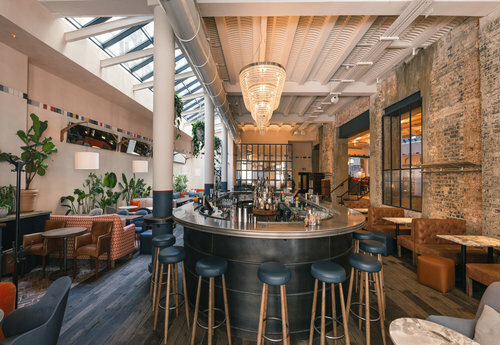 The menu will feature modern European dishes with a South American accent - everything from ceviches to truffles will be served at the all-day restaurant and bar, which is due to open next week. A new wine bar in Highbury opening later this month brings together head chef Dan Miller (late of Naughty Piglets and Harwood Arms), bar operators Max and Noel Venning (Three Sheets) and Brodie Meah (Dinner by Heston Melbourne). Top Cuvée, as the name suggests, will feature plenty of interesting wines in its 45-cover space - available to take home too. CODE congratulates the chef-patron Stephen Harris on the return of his restaurant The Sportsman to the top spot in the Top 50 Gastropubs awards. 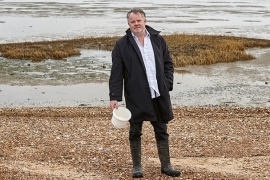 His trailblazing Kent space is 20 years old this year and has held a Michelin star since 2008. It was also named gastropub of the year at the National Restaurant Awards back in June. Oklava is a modern Turkish Cypriot restaurant in Shoreditch by Selin Kiazim and Laura Christie. It opened to great critical acclaim in 2015 and offers excellent working hours with lots of training and possible progression within our growing group. We are looking for someone for whom hospitality is their calling and who is passionate, organised and driven to fit in with our existing team. Experience within a restaurant of a similar calibre is a must. 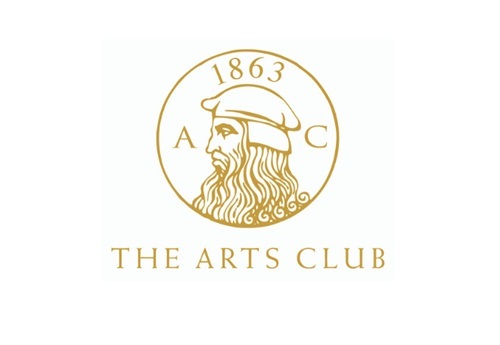 The Arts Club is a vibrant private members’ club in the heart of London’s Mayfair. Founded in 1863, the Club is a place for those with an interest in the arts, literature and sciences, and provides its Members with a place to meet, dine, entertain and exchange ideas. The Club is expanding internationally to Dubai and LA over the next two years. We are seeking a proactive, energetic and experienced Head of Marketing. The Camberwell Arms is an award-winning neighbourhood restaurant and pub in South London owned by the team behind Frank’s in Peckham. We are looking for an events manager, with experience of selling and delivering events within the hospitality industry, to join the team as we grow our events business. The role will involve developing our private dining offer in the restaurant and also leading our new off-site events business. What do you do when you discover Bottega Veneta stop making your favourite sneaker? If you’re Soho House founder Nick Jones you drop the CEO a note, who then offers to keep making some pairs of their Intrecciato suede slip-ons just for you. Sole mates. El Pastor’s head honcho Crispin Somerville told the Dumbwaiter the other night that he makes his daughter pancakes every single morning. Wouldn’t life be easier if he could persuade her to switch to tacos? 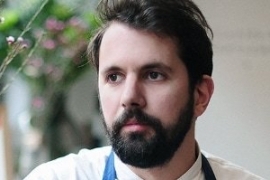 Chef restaurateur Neil Rankin seems to have disappeared off Twitter. Did he lose his temper with something or is he a little tired of being on the social media frontline?